Last month String Visions began conducting a survey on opinions of the so-called “Tiger Mother Philosophy,” specifically around parenting kids in music. Now that the survey is finished, we wanted to share the results and open it up for more broad discussion. …she never expected such extreme reactions. Even today, she tries to underplay the tone and advice given in the book, saying that she wrote it in a lighter vein; that it was meant to be a satire and not to be taken literally. When I met Chua recently at the Jaipur Literature Festival, where she came along with her daughter Sophia, she said, “I never intended the book to be a parenting guide, it’s a memoir and its lighter vein has been missed completely. In fact, when I read the book to my daughters and my husband, they told me that it would not matter because ‘you are not famous so nobody is going to read it! '” Well, even to me, the humour is completely lost. Such a perspective seems out of place in a dialog that often seems to get people riled up. But it’s something very interesting to think about. Have we as musicians (and parents) cast the “Tiger Mother” as a more fearsome beast than she actually is? 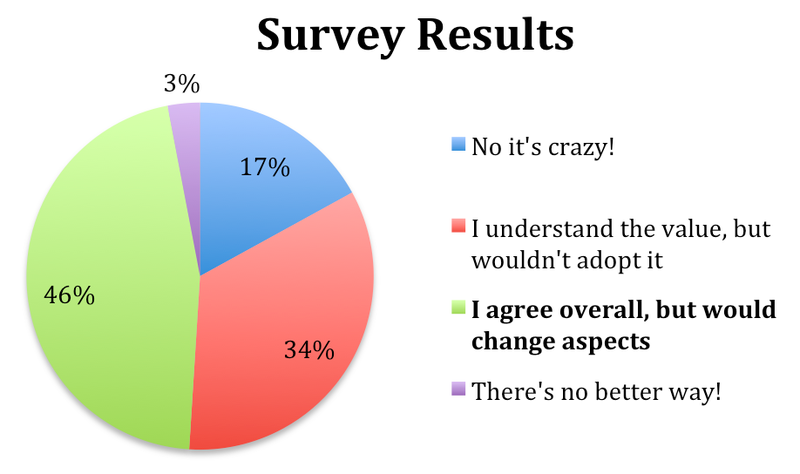 Regardless of the “truth” behind Chua’s approach, the survey results suggest that more people than you might think understand the value behind the “Tiger Mom’s” words, though they would choose to lighten the supposed characteristic extremes of the “harsh” parenting style. Do you agree with the so-called “Tiger Mother” approach when it comes to raising children in music? What do you think about these results? Where do you stand on the whole issue? Feel free to share your thoughts below!